Well Maintained ranch style home in quiet Forest City neighborhood centrally located between downtown Forest City and Tri-City Mall area. Within a few hundred yards walking distance from Forest City Golf Course and new Thermal Belt Rail Trail. House has two bedrooms and one bath on main floor and also a full bath in the basement area. There is a man cave type room in the basement that is finished and has tile flooring. The rest of the basement is roomed off with several rooms that could easily be converted into more bedrooms. There is also an outside access door at the basement. Washer and dryer convey and are also in the basement area. Upstairs has a small kitchen with a breakfast area near side door entry. The main living area is large with a nice fireplace and mantle. Bedrooms upstairs have beautiful hardwood flooring in them. 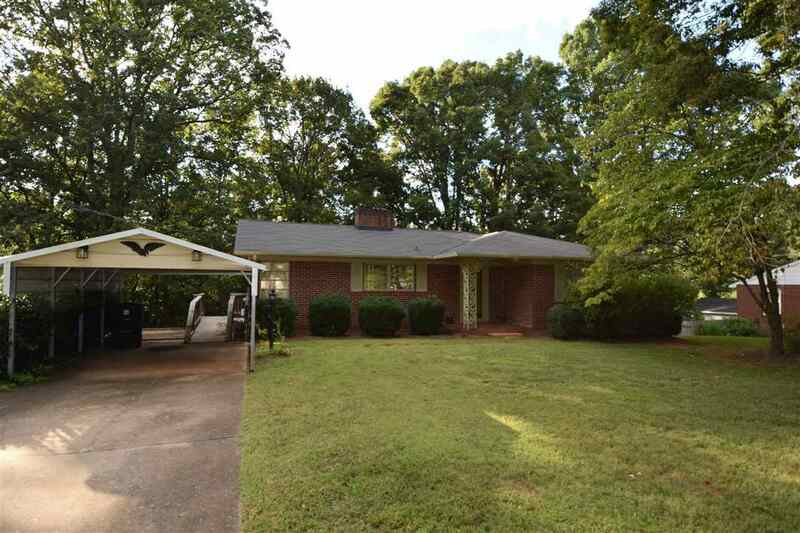 There is a bricked patio area at side door and driveway has a metal carport in the concrete driveway. House needs some updating but is in overall great condition.